SILVER FRAUD? OR GOVERNMENT FRAUD? 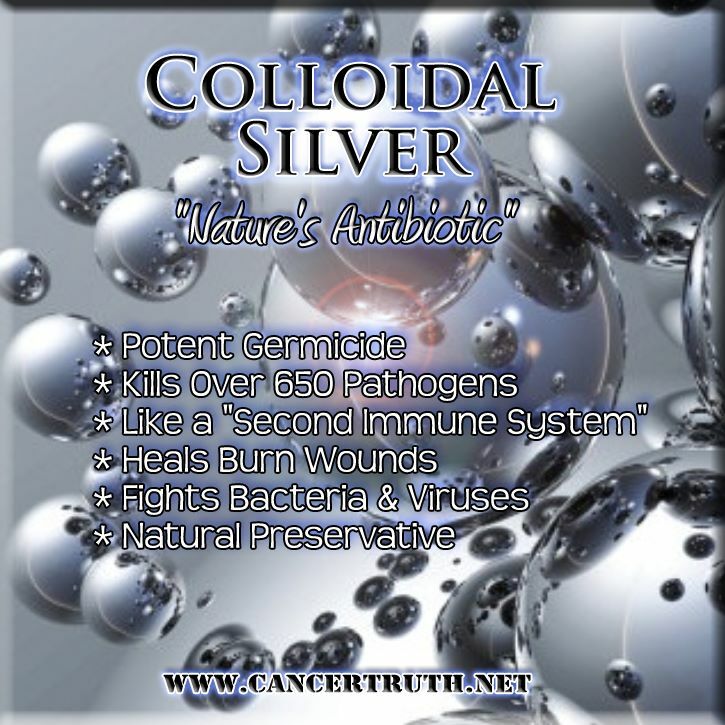 [2010 Jan] Colloidal Silver Banned in Europe, Part III: An Exclusive Interview with Anders Sultan, Sweden’s Largest Colloidal Silver Manufacturer Big Pharma hates silver. Pure and simple. It’s too competitive. It allows the little guy a way of taking care of infectious illness without using pharmaceutical drugs. On the broader level, Big Pharma and the ruling elite know extremely well that the less nutrition a consumer gets his hands on, the more prone he is to become malnourished and end up at a doctor's office with symptoms of some disease that requires prescription drugs......by re-classifying it as a water disinfectant, we can finally legally claim that the product is capable of killing bacteria, virus, fungus and one celled parasites - without risking spending a year in prison for making claims.....NASA researched 23 different methods of water purification and finally chose a silver water filter system for recycling and disinfecting water aboard the space shuttles. We also had a study conducted on our Ionosil product that proves it is extremely effective on MRSA, which of course is a highly antibiotic-resistant staph bacteria. We even got a testimonial from a woman who contracted MRSA, and struggled with dual forms of antibiotics for three months with no improvement. But once she started using our product internally and topically, the MRSA was gone within 24 hours. 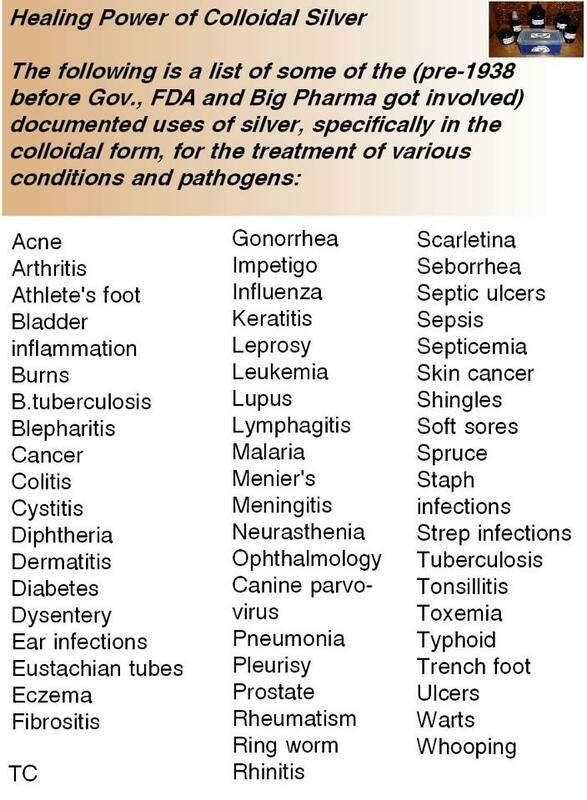 .....Danish scientists on the other hand, did a thorough follow-up on all their 400 cataloged antibiotic-resistant strains and found that not a single one of these bacterial strains were resistant to silver. So it turns out that silver would actually be the answer needed to solve the problems they’re having with drug-resistant bacterial strains. ......In retaliation for not deleting the testimonials altogether, as we’d been ordered to do, Swedish authorities staged a nasty news story that aired on the Swedish national news in November 2007. This was on a Sunday evening, when as many people as possible were watching television. They erroneously claimed our product would cause argyria and turn people Gray. They also claimed it would damage people’s internal organs, create antibiotic resistant strains of bacteria and to top it off, they claimed our product is a threat to the environment! Of course, their claims were laughable. But we lost about 30% of our sales from the assault. Nobody from the authorities contacted us to ask anything before airing the story. We could have easily proven them wrong, but nobody wanted to hear our side of the story first. They just let loose with both barrels. The media is obviously controlled by the same people who benefited from assaulting us and our product. However, after a lot of written communication with the authorities, we finally got an apology from one of the people at the food side of the Swedish FDA.She admitted they had no knowledge of how much silver was required to give a person argyria, and she apologized for the situation, admitting they should have spoken of silver in general rather than focusing on our product. But…they wouldn't go public with the apology. No sir. Their senior lawyer told us they had no intent of doing that.